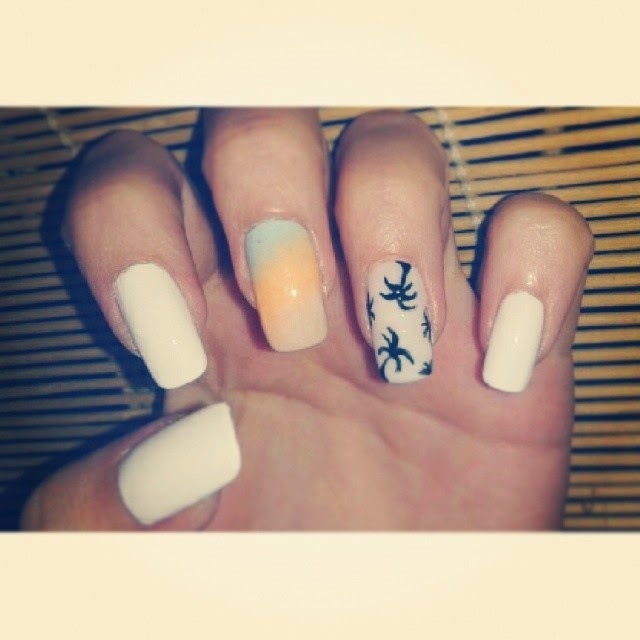 This is how I've decided to do my summery gradient palm tree nails. I coloured my nails white and on my middle finger i've decided to use the colour combo of the sea,sky and sand to create this ombre effect. Below I have two guidance video for gradient effect and two different types of palm trees that I found on youtube . Enjoy!! !